Twenty years have passed since the creation of the International Forums of the Lacanian Field following the initiative taken by some of us in July 1998. This creation constituted a new path, a path in accordance with the one Sigmund Freud and Jacques Lacan opened up, a path that emerged as a movement of counter-experience, with the aim of creating a School of Psychoanalysis. That School was effectively born in 2001. Twenty years later, we – the founders and many others – will meet again in Barcelona on the occasion of the Xth International Meeting of the IF-SPFLF and the VIth International Encounter of the School . We have some essential elements at our disposal: the impetus of the desire of the International Community, the compromise between the Forum of Barcelona and the other Spanish forums in order that the organization could proceed smoothly and, the title of the Meeting which will serve as an axis for structuring the work of that Community in the meantime. 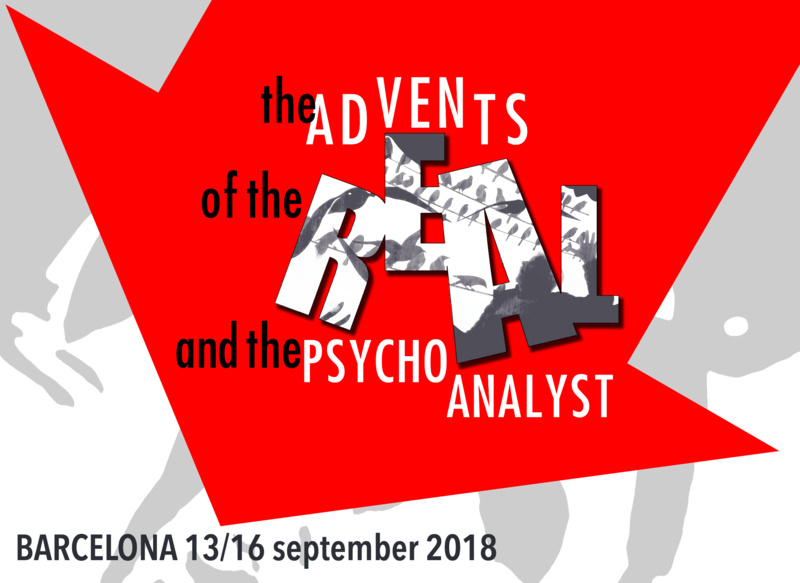 If, as Lacan affirmed in “La Troisième”, the future of the analyst depends upon what of the real happens (and not the other way around), what consequences do these advents have on social links and in particular on the analytic discourse, the one that binds the analysand to the couple analyst-analysand? Therefore, it is a title that makes us question, that keeps us awake and that will put us to work. There does not exist any advent of the real that will not cut the illusory and wished for experience of continuity in the speaking-being, whether that be the trauma of the Other as constitutive, or the real of the jouissance of the body, or the accident or, again, the progress of science. This is to say that every advent of the real implies an effect, an immediate effect that is affect – anxiety – and also other effects, albeit more silent, that remain incalculable. They spread through the social sphere and, as we can see, they do not cease to produce new forms of segregation. It is not up to the psychoanalyst to reduce the advents of the real, but the psychoanalyst can respond. He can, as Lacan says, counter the real. Scientific Committee : Sandra Berta (Br), Rithée Cevasco (Es), Diego Mautino (It), Silvia Migdalek (ALS), Patricia Muñoz (ALN), Susan Schwartz (Z.angl. ), Colette Soler (Z.franc.). Organising Committee : Jacky Ariztia, Jorge Chapuís, Carme Dueñas , Rosa Escapa, Ana Martínez, Ramon Miralpeix , José Sánchez , Teresa Trías.